I couldn’t agree with Gregory Godek more than this intro to 1001 Ways to Be Romantic. When we consider how to keep the romantic fires of marriage burning, we may be looking for a quick fix or a list of three things to do. And with the right attitude, those three things might make a big difference, but the key is the heart we put into our actions. I’ve shared hundreds of tips on this blog, but the tips themselves aren’t the secret, it’s what you put into the tips that can elevate your love to new heights. 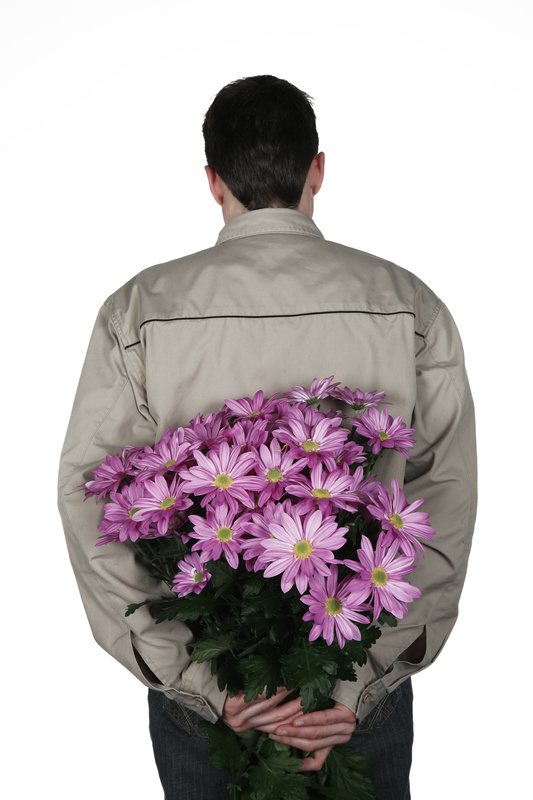 If a man brings home flowers once a month because his wife convinced him that this is an obligation of marriage, the romance may not be present. If a husband brings home wildflowers cut from a field or a book from his wife’s favorite author because he was thinking about her and wanted to do something special, then she will feel the romance. Even so, Godek says some obligatory romantic gestures should always be followed by spouses—celebrating his or her birthday, getting a gift for Christmas (if you celebrate that holiday), and remembering and celebrating your anniversary and Valentine’s Day. He says these are important must-dos and should be overlooked. Just because they are obligatory doesn’t mean we can’t do them with love! The fun “optional” romance includes everything else you might do—big or little surprises, candlelit dinners, sharing a bottle of wine on the deck and making a toast to your future, planning a getaway together, sending a card, giving a massage, writing a love note (sticky note or long love letter), buying flowers just because, drawing a bubble bath for two, lighting candles and cooking a special meal, greeting each other at the door each day as if you’ve been apart for months, or any other sweet gesture you can think of. Romance is a balance of two concepts, says Godek: 1) Actions speak louder than words. 2) It’s the thought that counts. These are two sides of the same coin. Romance is worth the effort because it will improve your relationship. It will make you feel more loved and secure, and it will make your spouse feel more loved and secure. Read Celebrate each day in your own way for more on living with an attitude of celebration and romance. We are one-fourth of the way through the year. How are you doing with planning romance and celebration into your life and marriage? This entry was posted in Books, Family, Happiness, Love, Marriage, Relationships and tagged better marriage, Happy Life, happy marriage, how to have a happy marriage, Love, marriage tips, romance, romantic marriage, secret to happy marriage, secrets to happy marriage. Bookmark the permalink. This is our best year for keeping romance, connection, celebration and intimacy at the forefront of our marriage. What we’re learning is that you have to continue to work on it and commit to making it a priority every day. It’s easy to let the stresses and strains of life get in the way, and slip back into old patterns of taking each other for granted. We’re finding it’s helpful to plan activities and exercises that remind us to slow down, connect and be romantic together. Thanks for your tips, Melissa. I think we’d all agree that keeping romance at the forefront is a big challenge. You guys are inspirational.